The bills are piling up. You keep trying to save money, but every time you get a little nest egg going, something happens (a car repair, a broken appliance, etc.) to wipe it out. And to top it off, your employer has hinted at layoffs. When times are tough financially, it can be difficult to even think about amassing wealth. You’re so busy trying to keep your head above water and pay off your debts that a life with a seven-figure bank balance may seem like nothing more than a pipe dream. While almost no one becomes a millionaire overnight — and no, playing the lottery is not a legitimate wealth strategy — it is possible to rise above your circumstances and attain considerable wealth. All you need is a strong commitment to achieving your goals and some knowledge of the proper steps involved. The first step to achieving any goal is to develop a plan. You wouldn’t try to drive to a destination in an unfamiliar city without a map or GPS, so why would you try to make it to a major “life destination” like considerable wealth without similar navigational tools? Regardless of whether you’re at the beginning of your career and earning an entry-level salary or already have some experience and the paychecks to prove it, you can change course and get on track to wealth. Meet with an experienced financial adviser and get professional advice and feedback on how you can meet your goals — and then act on those plans. As long as you are paying a significant portion of your income to someone else, you will struggle on the path to wealth. Live below your means, and never charge anything you can’t pay off in a month or two; some advisers suggest never charging anything you consume, including clothing, as you’ll be paying interest on it long after it’s outlived its usefulness. If you must finance a home or car (which most people do), don’t max out your budget. Choose the loan terms that allow you to eliminate the debt as soon as possible. One reason the wealthiest people are so well-off is they make their money work for them. Even if you invest a modest amount of money in the stock market, you can expect to earn a rate of return of around eight percent annually. As your investments grow, so will the amount of money you make. According to one study, almost three-quarters of all American millionaires are entrepreneurs. While it is possible to build wealth working for someone else, you are far likelier to have success when you are your boss. Many Americans, even those with steady incomes, operate under a “poverty mindset” in which they fear they could lose everything at any moment, so they must hold on to every penny they get. Or, they feel they will never attain the highest levels of financial wealth, so why even bother? They become complacent, and while they may be comfortable, they are never going to be wealthy. If you want to be wealthy, you have to think wealthy, and emulate the thoughts and actions of those people who have reached the upper echelons of wealth. Few millionaires have made all of their money from one income source. Most have income from multiple streams. When you’re earning money from multiple sources, you don’t have to panic when one dries up and you can better leverage your resources to keep the money coming. 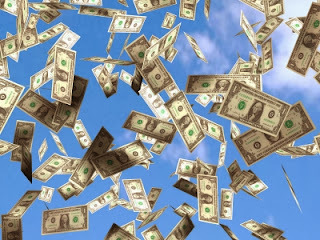 The best way to amass wealth is to save money. An emergency fund is a must, should things go awry, but you should also find ways to save money wherever you can. 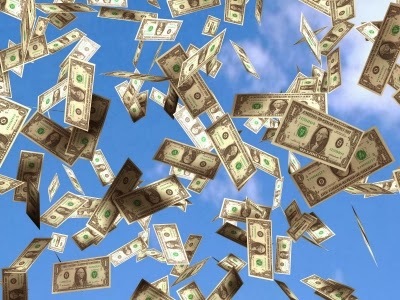 The wealthiest people are not generally spendthrifts; while it’s easy to imagine them dropping thousands of dollars on shopping sprees and parties, most are far more careful with their money. As money comes in, make saving a priority. As your income increases, so should the amount that you are saving. About the Author: Isabelle Fontaine holds a marketing degree and has started several successful businesses in the course of her career.